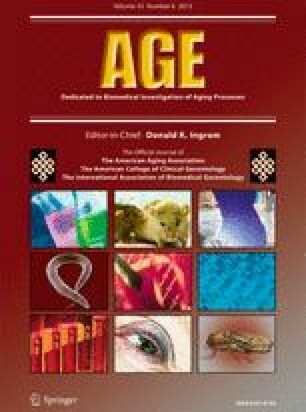 Behavioral studies suggest that postural control requires increased cognitive control and visuospatial processing with aging. Consequently, performance can decline when concurrently performing a postural and a demanding cognitive task. We aimed to identify the neural substrate underlying this effect. A demanding cognitive task, requiring visuospatial transformations, was performed with varying postural loads. More specifically, old and young subjects performed mental rotations of abstract figures in a seated position and when standing on a force platform. Additionally, functional magnetic resonance imaging (fMRI) was used to identify brain regions associated with mental rotation performance. Old as compared to young subjects showed increased blood oxygenation level-dependent (BOLD) responses in a frontoparietal network as well as activations in additional areas. Despite this overall increased activation, they could still modulate BOLD responses with increasing task complexity. Importantly, activity in left lingual gyrus was highly predictive (r = −0.83, adjusted R 2 = 0.65) of the older subjects' degree of success in mental rotation performance when shifting from a sitting to a standing position. More specifically, increased activation in this area was associated with better performance, once postural load increased. The online version of this article (doi: 10.1007/s11357-012-9499-2) contains supplementary material, which is available to authorized users. Support for this work was provided through a grant from the Research Fund of the Katholieke Universiteit Leuven, Belgium (OT/71/11) and the Research Foundation-Flanders (G.0721.12). Van Impe A. is funded by a Ph.D. fellowship of the Research Foundation-Flanders. Coxon J.P. is funded by a postdoctoral fellowship of the Research Foundation-Flanders (1224010 N). Bruijn S.M. is funded by a visiting postdoctoral fellowship of the Research Foundation-Flanders (GP.030.10.N).